Over the years, I’ve repeatedly identified voluntarism as the defining characteristic of America’s private schools. And while the voluntary nature of our schools enables the formation of communities around a body of shared values, expectations, and commitments, voluntarism also requires private schools to constantly compete for scarce resources in an open, and highly competitive market environment. Not only must schools compete with one another, they must also take account of the “free” alternative that exists just down the street or around the corner, in the form of a local public school. The proliferation of public charter schools has both accelerated competition and highlighted the need for private schools to remain competitive. There’s no getting around the adage, “you get what you pay for,” and a high quality education doesn’t come on the cheap. Yet, to remain competitive, private schools must deliver superior education at prices that bolster, rather than curtail demand. Most nonprofit private schools attempt to accomplish this economic sleight of hand by setting tuition at artificially low levels – levels that fail to reflect actual costs – and making up the difference through fundraising. 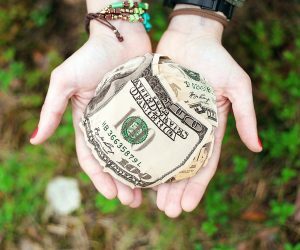 Even in states where school vouchers or education tax credits are available to help offset costs, most private schools continue to raise funds through voluntary giving so as to maintain highly competitive tuition levels – a fact that only serves to underscore the critical importance of fundraising elsewhere. Government has long been an ally when it comes to fundraising. It has now been 101 years since the federal government authorized the first tax deduction for charitable giving, and today, the “tax subsidy” for such donations runs north of $50 billion. But what government gives, government can also take away, and there is considerable speculation that the increased standard deduction enacted as part of last year’s sweeping federal tax reform legislation will lead to a reduction in charitable giving, as fewer taxpayers find it necessary or desirable to itemize their tax returns, and thus seek deductions. More alarming is the emergence of a new challenge that questions why government policies should favor philanthropy in the first place. In his recently published book, Just Giving: Why Philanthropy Is Failing Democracy and How It Can Do Better, Stanford Political Science Professor Rob Reich (not to be confused with U.C. Berkeley’s Robert Reich) raises precisely that question. Charitable giving, he observes, has been prompted by religious and ethical traditions over the course of millenia. If the government opts to promote charity, he argues, it should do so to achieve instrumental public purposes, the most important of which is the advancement of economic equality. Of course, the same caveat must be weighed by private schools eligible for receipt of funds made available through vouchers and/or education tax credits, as these, too, furnish government with a lever. Some private school leaders believe their schools will be unable to sustain themselves absent some form of government support. Others fear that the price exacted for such support will, inevitably, prove to be the forfeiture of a school’s identity. Both may be right.